Today corporate demands active individuals who can withstand the rigor of Corporate World. PIBM works on overall development of the students which also includes building body and sharpening mind. 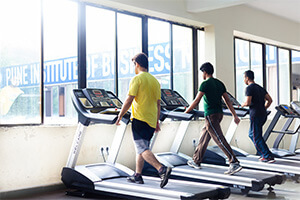 At PIBM, students undergo daily Gym, Sports, Aerobics and Yoga to improve physical fitness and increase concentration of mind. 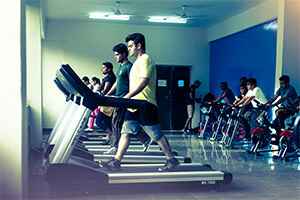 Exercise helps students to keep their body active, makes mind sharp and gives an overall “feel good” feeling. 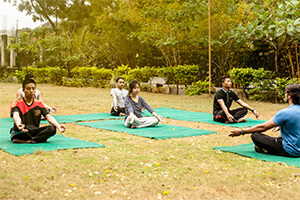 PIBM's Professional trainers makes sure that all the students follow proper methods of physical training during GYM, Aerobics & Yoga sessions.